Order in 0 Hours 36 minutes 14 seconds for dispatch today! 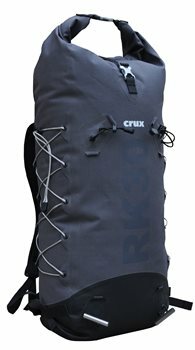 The RK30 is a compact, frameless, roll-top sac for fast and light technical routes. It is completely waterproof and made from a rugged PU-coated Kevlar/Cordura fabric. At home on either rock or ice routes, this is a versatile, easy loading and easy handling sac.